Thanks to a web developer Aashir Khan, who I found on Fivesquid.com (link at foot of page), my website has become responsive. Apologies for the disruption. I will be working through the site to get it all looking reasonable, but it may take a few days or a bit longer. To help create the Ebook which i developed first as a text file then in MS Word, I bought a copy of Jutoh and think it's a brilliant piece of Windows software. If you're writing an ebook, creating it is half the battle. You need to lay it out. Mine has screenshots (jpgs), tables, a table of contents, lists and lots of source code. Jutoh lets me manage it, first importing the MS Word document, all 200 pages of it.I reported a minor bug yesterday, exchanged a couple of emails with the creator and lo and behold a beta with the fix (odd colouring of text following inserted source code) arrived today. Now that is what I call support. It won't break the bank and I am very happy with it. From a British, well Scottish firm as well. Highly recommended. 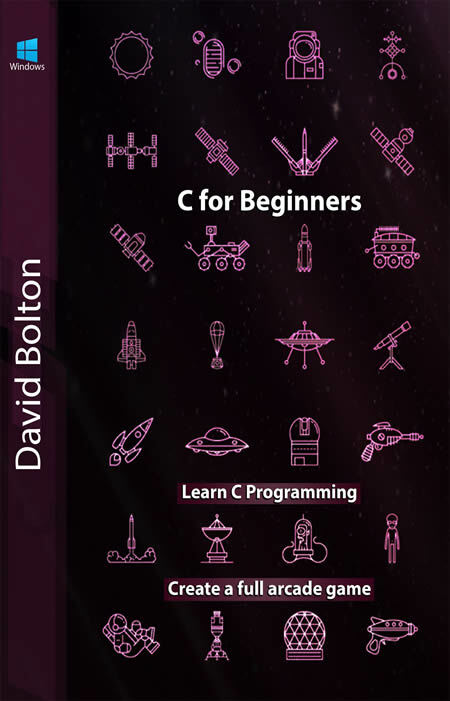 This is an ebook I've written that teaches C games programming for beginners on Windows. Half the ebook is learning C and the rest of the ebook is about developing an Asteroids game, running at 60 frames per second. Minor update- I've added the full chapter list of contents to give you an idea about the book. Book has now been published... (January 2019) Link at the top left of the page. You needn't spend a fortune to go secure.. I recommend https://cheapsslsecurity.co.uk/. For 4 years, it costs about £5.50 a year. (Update September 2018). I found a website that analyses SSL certs for free and after 45 seconds of very detailed analysis, it gave it a score over 90%. This is with GoDaddy hosting. Plus they finally came up with a fix to their hosting problem which broke this website and a couple of other sites. Although the address extension of this page and others is .html, behind the scenes it's mostly php. It's not unusual for websites to do this, usually by adding a couple of lines to the .htaccess file. This is what you need for GoDaddy hosting to run .php inside .html. Simples! The last two years has seen me create an iPhone app and for defeat being snatched from the jaws of victory by the whole thing being abandoned at about 97% in to the project. I managed to extract, process and compress 29 million addresses from the UK Postoffice Address File (PAF) searchable and built into just 100 MB of data (that includes house numbers, names and flat numbers) and fast enough that as you drag the app's Google Map screen, it can tell you what street the map center is located over including any of over 350,000 points of interest (POI) that are ATMs, supermarkets, pubs, museums etc. All locations include lat/long though each postcodes location is roughly centred on the average lat long. You have to be licensed to use the PAF data and I wrote this in C# (Xamarin). It's fast enough to run on an iPhone 5 and flies on an iPhone 7. Search results update with each key press (about 1/10th second delay on an iPhone 5) and it returns up to 100 matching results sorted by distance from the phone's current location. Distances are calculated using a speeded up version of the trigonometric calculations formula for working out distances between two lat/longs. I also wrote a suite of programs to automatically extract the data from the PAF and transform that used by the app. I still write technology articles but no longer for newstack.io or for GoParallel and About.com recently went belly up but you can still see lots of my stuff on thoughtco.com. I also have articles on the UK Dice site as well as the US (Different articles, not the same). If you are looking for a part-time technology writer who can write software, say hi via the contact form! I'm starting a new development job on July 3rd, based in Sleaford. (September 2013) These are being polished up. (Thanks Tim) but for now the rough cut originals are there. I'll also then add pdf versions of the polished version for those who don't have Powerpoint 2007 or later. Note also the January 2011 Slides download (Zipped up Powerpoint) from the presentation given at Bedford for Mensa on setting up a website. 2013/1/16. I'm no longer at Morgan Stanley in London, UK. One of the fallout of Morgan Stanley Redundancies after six years there working in Commodities on Oil Trading and Base Metals software development and maintaining Triplepoint products such as Tempest. I'm Looking for software developer roles in the City (London) with preference for Canary Wharf and will do contract or Permanent. I live in East London, so roles outside London would not really be appropriate. Skill set. Extensive Delphi with over 17 years full time experience plus six years of .NET, three at Morgan Stanley. So if you have legacy Delphi code that needs converted to C# (or Java - I have 18 months of that), please contact me. In the last 13 years I've worked at London Clearing House (Contract 2 years 97-99), Lombard Risk 6 years (2001-2007 Permanent) and Morgan Stanley 5 years (2007-2013 Permanent), plus 5 years C# experience including LINQ, some WPF and one year Java. My experience includes 5 years of Sybase ASE 12.54 plus web development (HTML, CSS, PHP) skills. (July 2014) Multi threaded C# for TCP/IP. How I programmed a full duplex iPhone client using Threads. (February 2012) I got hit by the dreaded High CPU on Windows 2008 R2 with WMIPRVSE, but it's now solved. (October 2011) Good practices on the internet On ISPS Email accounts, hosting and domains. (October 2010). I still get letters from Domain Renewal Group (formerly Domain Registry of America) trying to slam my domains. So is domain slamming a scam? If you're looking for the photos the link now goes to flickr.com for me, the link on the menu takes you there, but I'll add the panoramas here. My cv has been removed- I'm not looking for a job! Act on Co2 Government propoganda trying to convince a disbelieving British Public that Global Warming is happening. Yeah right. Short article Suggestion for Google Sitemap users, i.e. SEO or website marketers. December 22nd 2007. A warning about a sophisticated scam email Don't get taken in! September 26th 2007. A bit of satire about Health and Safety. Health and Safety renamed to Fear of Being Sued Executive. September 22nd 2007. Last week's events with Northern Rock inspired a reworking of XTC's Sgt Rock song lyrics for Northern Rock (is going to help me). July 17th 2007. An easy way to generate and use very long passwords (typically 80 chars). 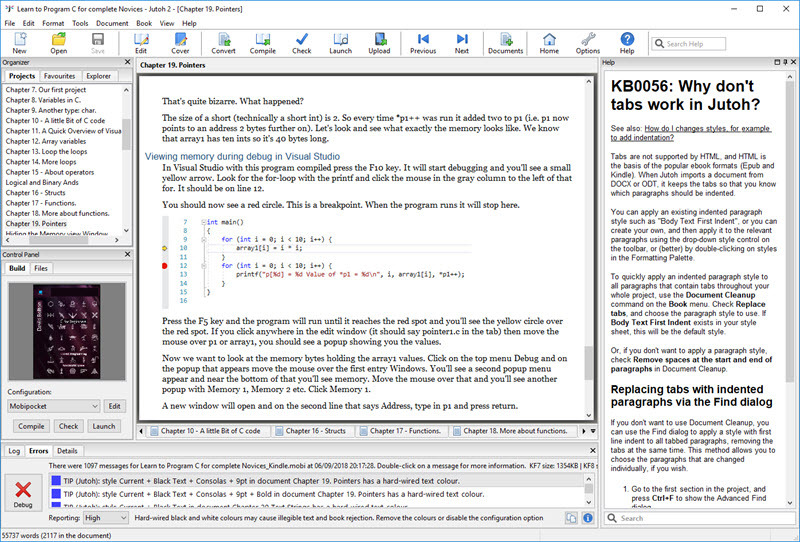 A small utility is provided (with full source code in delphi). Jan 9th 2007. A review of the open source blogging software used in portent.org. Review of pivot blogging software Ironically in July 2007 I had to shift to WordPress! Too much CPU use by Pivot. 31st October 2006. Averting Global Warming article added. 24th October 2006. DIY EMP Generator article added. 24th July 2006. The banned Camra poster ad!